VCSEL arrays: A novel high-power laser technology for "digital thermal processing"
Industrial manufacturing equipment for heating large areas with high throughput conventionally uses among others gas burners, hot air blowers and electrically or halogen lamp heated belt ovens. Due to their limited power density, high thermal inertia and low spatial selectivity, these heating methods can be switched on and off only slowly. Furthermore, they are inaccurate and cannot easily deposit the heat only where it is needed or do not allow to impose sophisticated spatial thermal profiles on a work piece. On the other side conventional laser technology has disadvantages in this application mainly for cost reasons. Development of high power lasers has traditionally focused on brightness. Treating large surfaces with high brightness sources requires either complex optics or scanning systems. Each one comes along with technical limitations but more importantly with a severe cost impact. 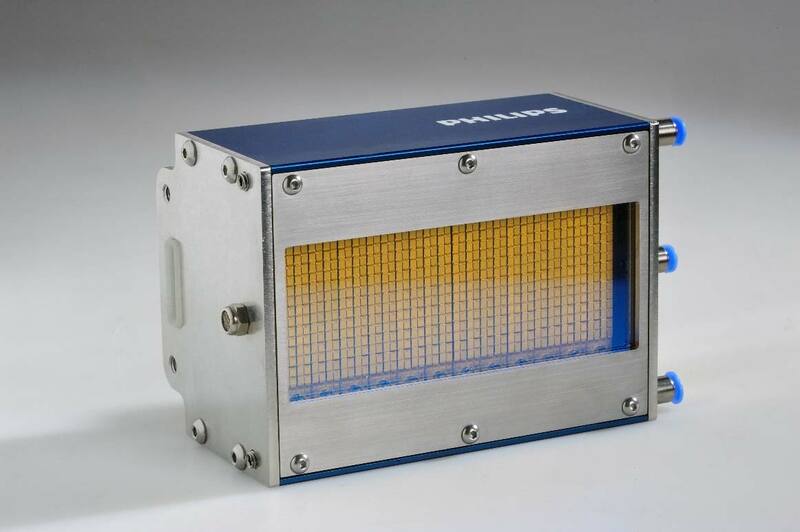 Vertical- cavity surface emitting laser-diodes (VCSEL´s) offer an innovative solution by heating only when and where it is needed in a short time with cost effective, compact and robust systems. Compared to conventional non-laser based heating technologies, VCSEL arrays offer flexibility, high efficiency and lifetime. As a solid state technology VCSEL´s fuel the trend to fully digitized manufacturing flows. The technology is bound to penetrate a large number of manufacturing processes and thereby adds a new and cost effective member to the family of high power lasers.